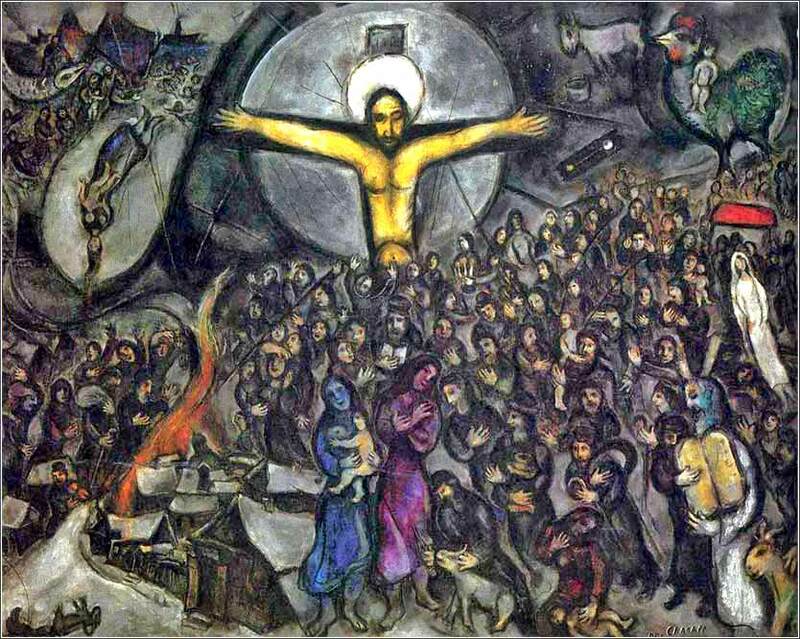 Exodus, one of the crowning works by the famous Russian Jewish primitive surrealist, Marc Chagall. Painted in France over the course of 14 years (1952-1966). Full Size. This extraordinary footage of Ethel Waters and two small boys singing His Eye is on the Sparrow -- a capella! -- is taken from a 1952 movie, “The Member of the Wedding”. 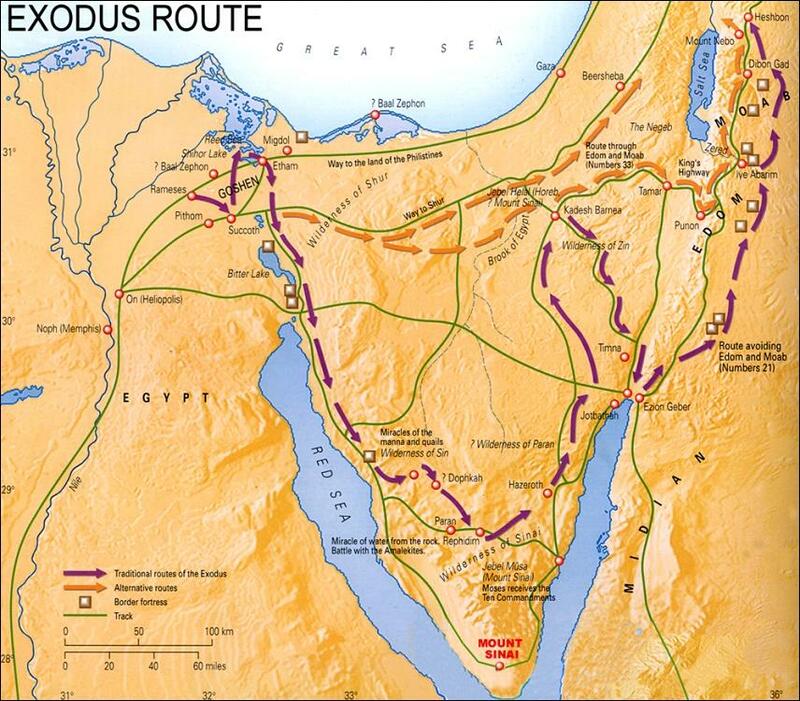 The Egyptians were urgent with the people to send them out of the land in haste. For they said, “We shall all be dead.” So the people took their dough before it was leavened, their kneading bowls being bound up in their cloaks on their shoulders. The people of Israel had also done as Moses told them, for they had asked the Egyptians for silver and gold jewelry and for clothing. And the Lord had given the people favor in the sight of the Egyptians, so that they let them have what they asked. Thus they plundered the Egyptians. And so the promise of the Burning Bush, "I AM", is fulfilled. 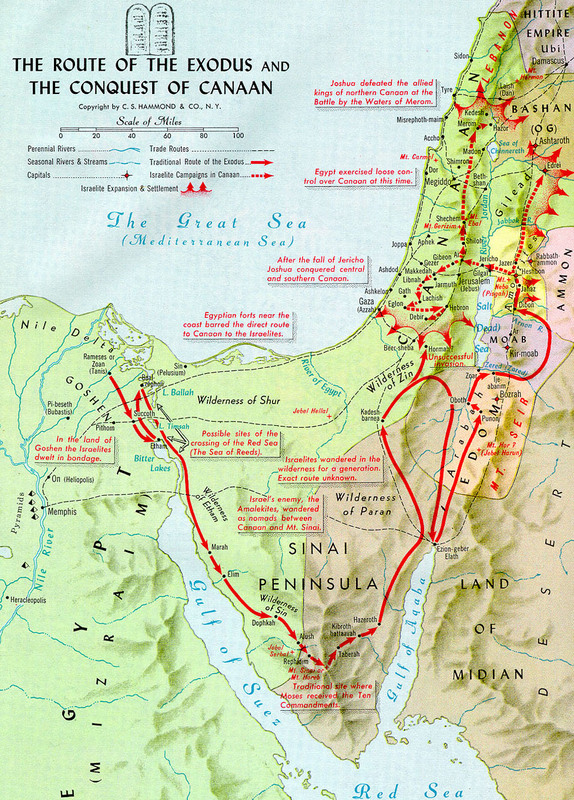 The Hebrews are not simply allowed to leave Egypt; they are practically driven away. They have won a war without drawing a sword; their only physical weapons are two staffs, carried by Moses and Aaron. Moreover, the Egyptians, in shock over the deaths of all the firstborn, are so desperate to be rid of them that they freely give up their gold, jewelry, and clothing. The Hebrews were not looking for luxury; they would need the money to survive their coming ordeal. They head out into the wilderness, a huge host of about 25,000 people, and depart so quickly they cannot leaven their bread, just as they have been prepared to do. They will now have to do penance for their sins; it will take them forty years to get right with God. 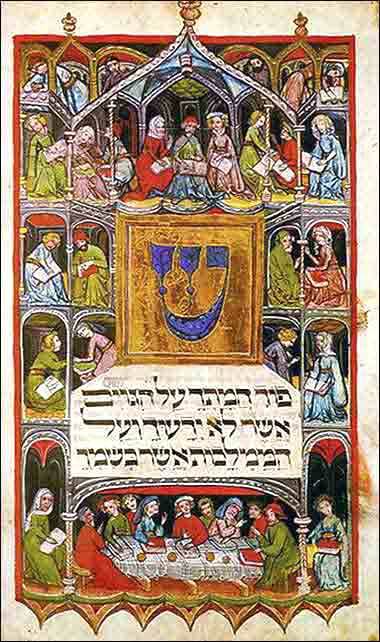 The exodus itself is the beginning of God's training the Hebrews to follow His law. Worshipping idols is akin to "Sunday Christianity". One burns something before the idol when one wants something from the god, and then one goes on about his day, his conduct unchanged. But the relationship of the Hebrews to Yahweh will be something new. They will have to change their conduct permanently and continuously, living their lives in obedience to God-given law. Profound, fundamental change does not come easy. The process has already started. We see the Hebrews acting in obedience to extensive dictates for Passover and gaining, by their obedience, a great boon. Moreover, this new God is only partially revealed, unlike the tangible statues of Thoth and Anubis. He is beginning the long process of implanting faith. He is gradually weaning the Hebrews off the milk of a visible statue, onto the solid food of faith in an unseen God. There will still be visible evidence of Him, but it will be ever more distant, until their faith has grown so strong they can follow the Word of a God they cannot see.